I crack the top open and I do smell popcorn. I dive in and it does kind of taste like popcorn. It also kind of tastes like pretzels. 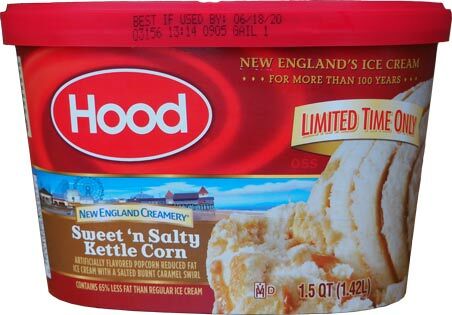 It's a lighter ice cream and there's no solid textural component, so my brain isn't 100% sure how to place it. So, let's do this. It's not too salty, so that's good. It's not to artificial, so that's good. I mean it's fake flavor, but it's not beating up your taste buds or anything. I've definitely had worse. There is a funness to it. I really do start thinking about the boardwalk when I taste the swirl... and then I bounce back to pretzels... and then I bounce to some strange middle ground. So, yeah, it's definitely different! 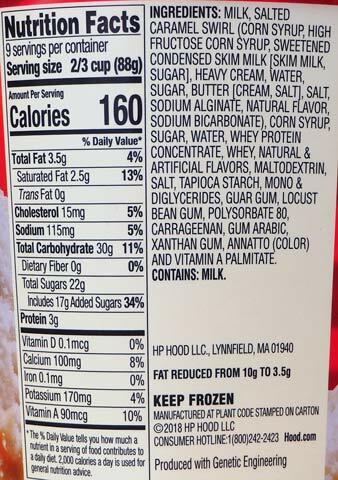 On Second Scoop: I tried mixing it with pretzels, it did not help (at some point I will try mixing it with popcorn too). I wound up throwing in some cinnamon (because cinnamon) and it was interesting like that. I just think you need to be in the mood to eat this one... or maybe it just needs a nice fresh sugar cone to go in to. I would say pick it up because it's different, but at this point I don't imagine buying it again. 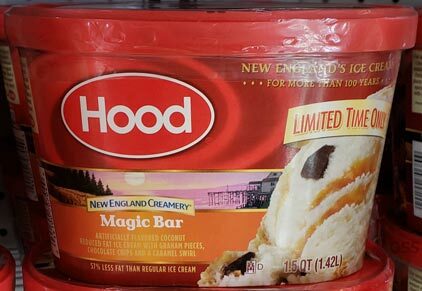 There's also the Hood New England Creamery limited edition flavor Magic Bar. 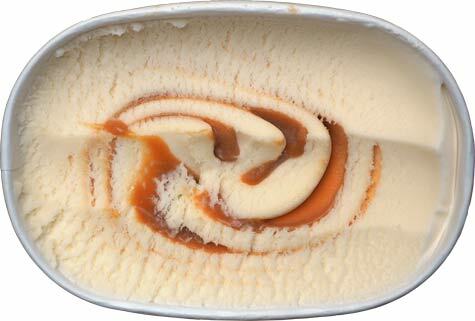 It's artificially flavored coconut reduced fat ice cream with graham pieces, chocolates chips and a caramel swirl. There's also Frozen Hot Chocolate. If anyone tries either, please let us know how it is.